1/250th at f/8. 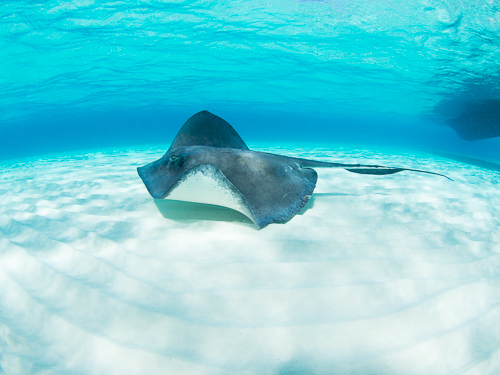 Shot with Olympus OMD EM5, 8mm Panasonic fisheye lens, Nauticam housing and mini dome port, 2 Sea & Sea strobes. Well, as hot as slug on slug action gets anyway. 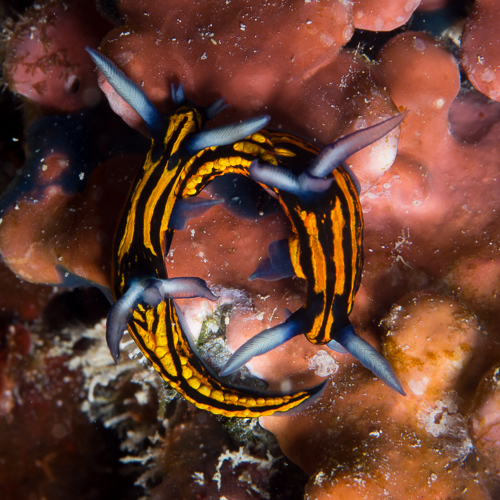 Here are a pair of Roboastra Gracilis nudibranchs doing a mating dance in Fiji. And they weren’t just dancing. 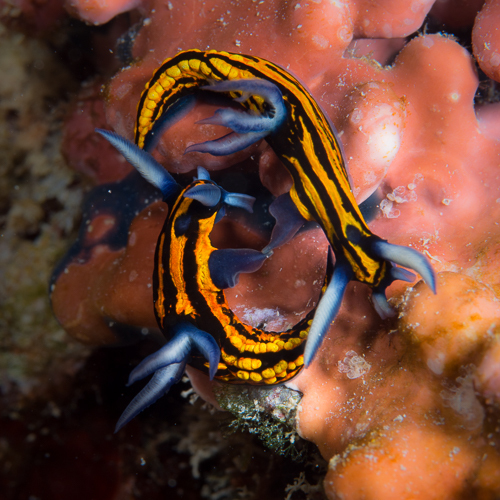 Nudibranchs are hermaphroditic so when they mate, they fertilize each other. In the picture below, you can see their genital papilla touching. 1/250th at f/11. Shot with Olympus OMD EM5, 60mm Olympus f/2.8 macro lens, Nauticam housing and flat port, 2 Sea & Sea strobes. We’ll get back to all that crazy color a little later. 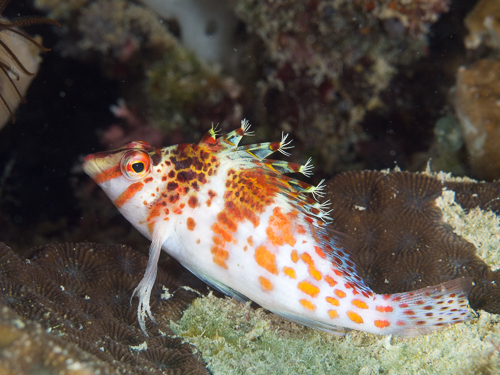 But for now, here’s an up close and personal encounter with a little hawkfish (dwarf, I think). Under a little ledge, looking back at me. I’m sure hoping that I’d move along. As you’ll see from the notes below, shot with my macro lens which definitely wasn’t the plan. 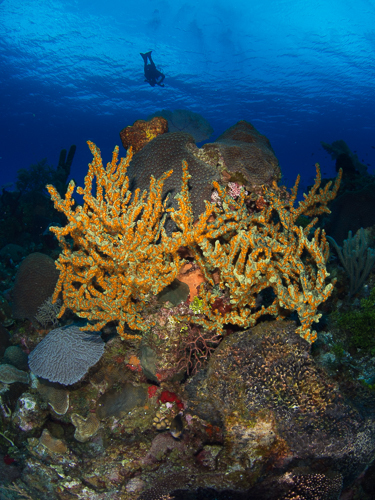 All that color from yesterday, those big expanses of corals — the plan was for wide angle. But the weather was lousy. The visibility was poor. And so instead of fighting the conditions with a wide angle set up, we all jumped in to do macro instead. 1/160th at f/11. 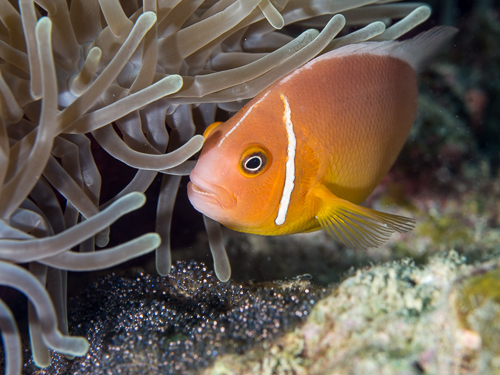 Shot with Olympus OMD EM5, 60mm Olympus f/2.8 macro lens, Nauticam housing and flat port, 2 Sea & Sea strobes. 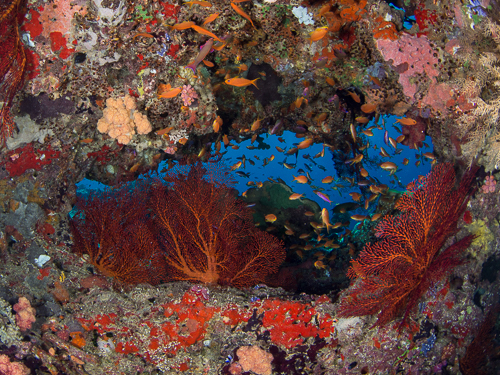 I just got back from another great underwater photography workshop with Alex Mustard, this time in Fiji. 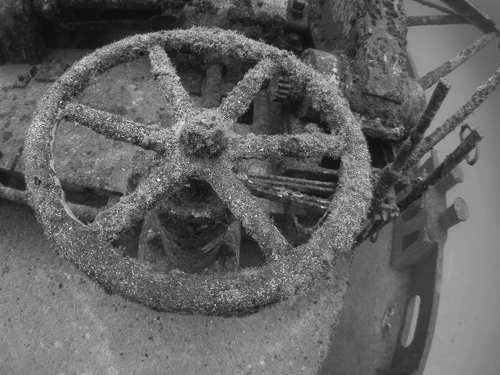 Despite a few logistical challenges this time and less than perfect weather at the outset, it was still a great trip. And so very nice to see so many familiar faces too. 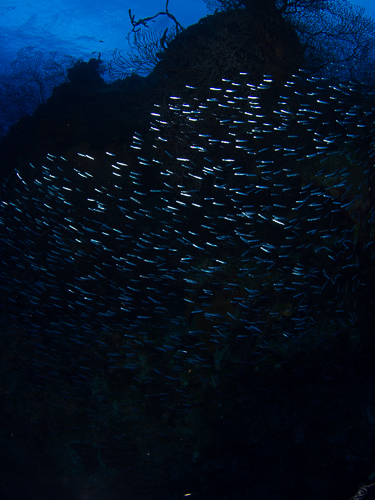 Ultimately most important, the diving and photographic opportunities were great. We all came away with images we were quite pleased with. And the colors, wow. The colors are unbelievable in the literal meaning of that word. But don’t take my word for it. See for yourself. 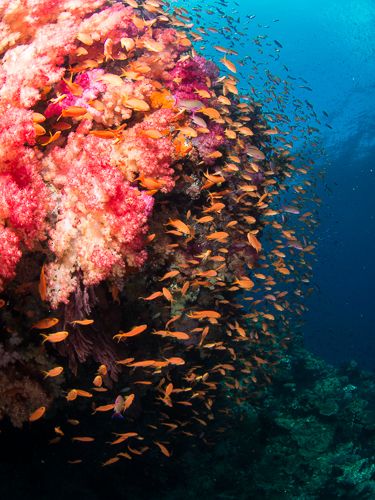 Bright orange anthias swimming out from the bright pink, yellow and magenta soft corals.